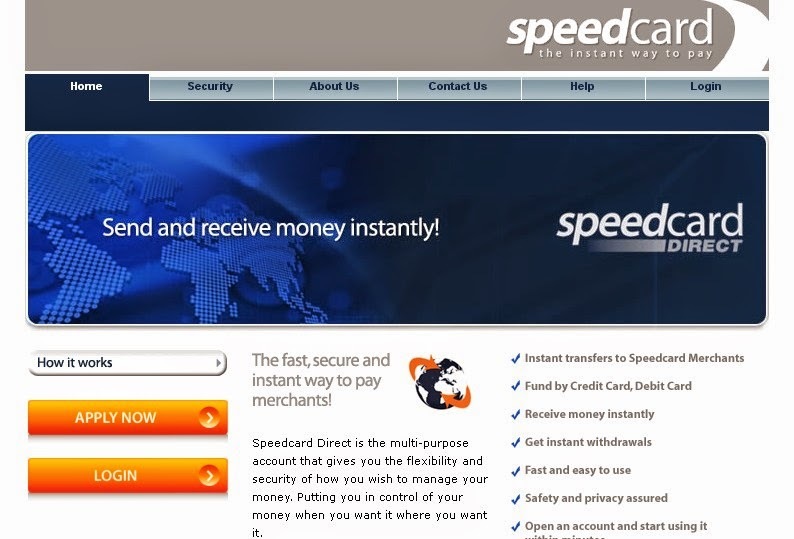 About Speedcard SpeedCard is an electronic payment service offered by FBME Bank in Cyprus. It is a multipurpose online intermediary account that is used for conducting secure online financial transactions. It is an electronic wallet that lets you make secure and anonymous deposits to bookmakers accounts. You can fund your SpeedCard account with debit cards or credit cards. Security SpeedCard payments are secured by way of multi layer security system. So, you can stay assured that your funds would safely.